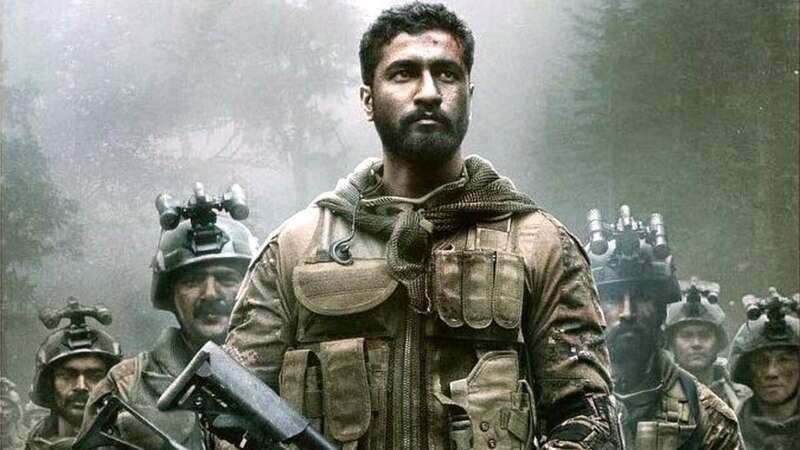 New Delhi : Vicky Kaushal and Yami Gautam starrer 'Uri: The Surgical Strike' is turning out to be jackpot for the makers as the film is all set to cross Rs 200-crore club. According to a report in Box office India, Uri: The Surgical Strike has achieved 1.5 crore footfall which means a total of 1.5 crore people have watched the movie in theatres. At a time when most of the Bollywood movies are failing to even touch Rs 100 crore mark, Uri has made over Rs 174 crores, and is heading to hit a double century at the box office. On its day 25, the movie collected a strong Rs 3.36 crore. In comparison, new release, the Sonam Kapoor starrer Ek Ladki Ko Dekha Toh Aisa Laga made Rs 3.3 crore and the last week's release Manikarnika: The Queen of Jhansi starring Kangana Ranaut has collected Rs 3.5 crore. Trade analyst Taran Adarsh tweeted, "#UriTheSurgicalStrike continues its fantastic journey... Biz on [fourth] Fri is *higher* than [third] Thu [₹ 3.31 cr], which speaks of its incredible hold... Will cross ₹ 175 cr today [Sat; Day 23]... [Week 4] Fri 3.36 cr. Total: ₹ 174.43 cr. India biz. #Uri #HowsTheJosh"
He also tweeted: "#UriTheSurgicalStrike benchmarks... Crossed ₹ 50 cr: Day 5 ₹ 75 cr: Day 8 ₹ 100 cr: Day 10 ₹ 125 cr: Day 13 ₹ 150 cr: Day 17 ₹ 175 cr: Day 23 India biz. Target ₹ 200 cr seems certain now." Target ₹ 200 cr seems certain now.